I found an interesting Bunting whilst birding the 'patch' on 8th May and managed to take a few rather poor photos of the bird. 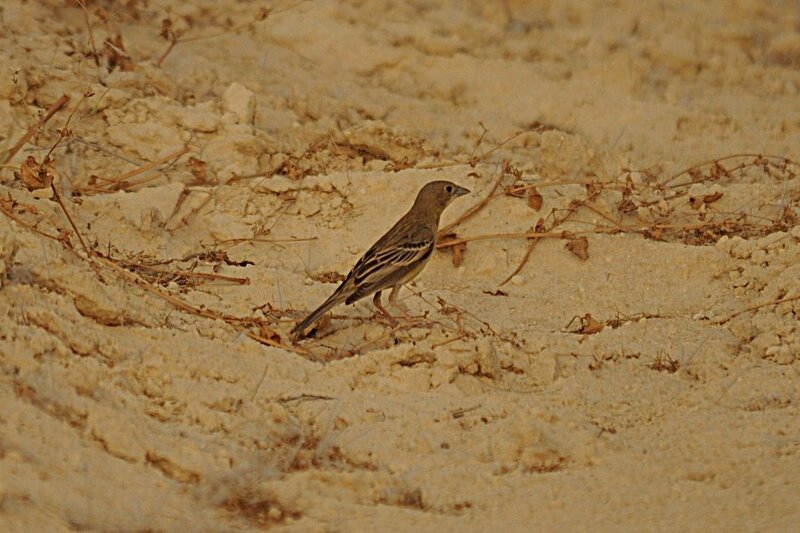 It was an adult female and after extensive searching gave some reasonable views allowing identification as a Black-headed Bunting. 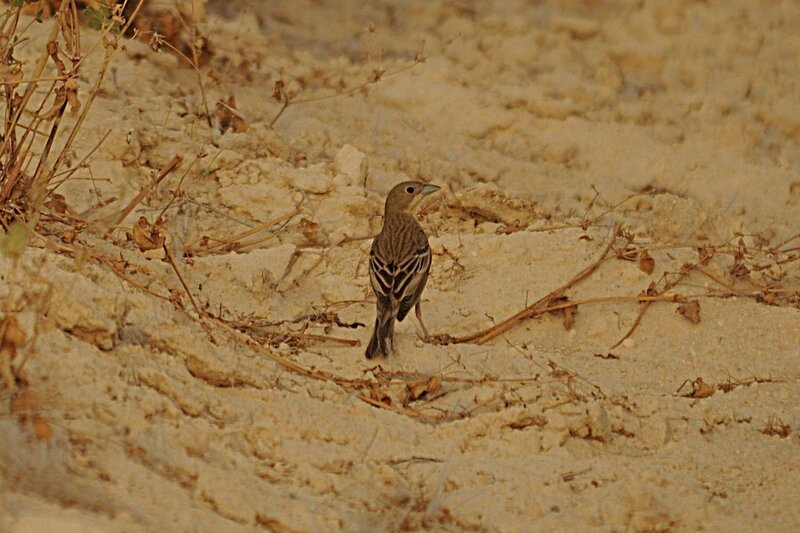 I do not have access to some of the identification papers on separating female Black-headed and Red-headed Buntings but from what I can remember it appears to be a Black-headed Bunting. If anyone has a different idea please let me know. The bird spent most of the time hidden in tall grass and was very flighty but fortunately kept returning to the same place among the long grasses. It gave a short 'chup' call on one occasion but the calls as far as I can remember are not a good way of identifying this very similar pair of species. 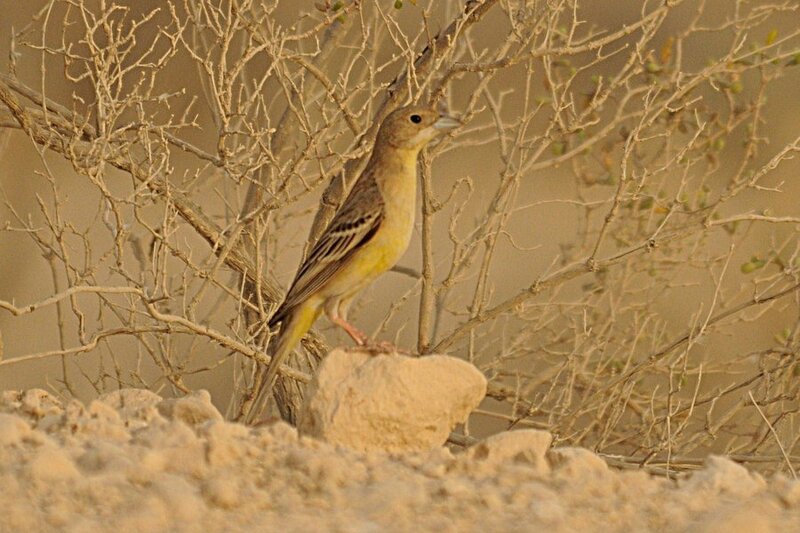 Black-headed Bunting is a new bird for Saudi Arabia for me but more importantly it is a new 'patch' bird taking my total to 178 species. I am hoping one day to get over 200 species but as with many things it gets more difficult with time. The species is mentioned as probably regular only in autumn when there is a wide scattering of mainly immature birds from mid-August to mid-September. It is most frequently seen in the northern half of the Province during this period. It is scarce in the coastal zone and there have only been two spring records, an adult male at Haradh on 18th April 1980 and a female at Dhahran on 22ndApril 1984. (Birds of the Eastern Province of Saudi Arabia - Bundy et al 1989). 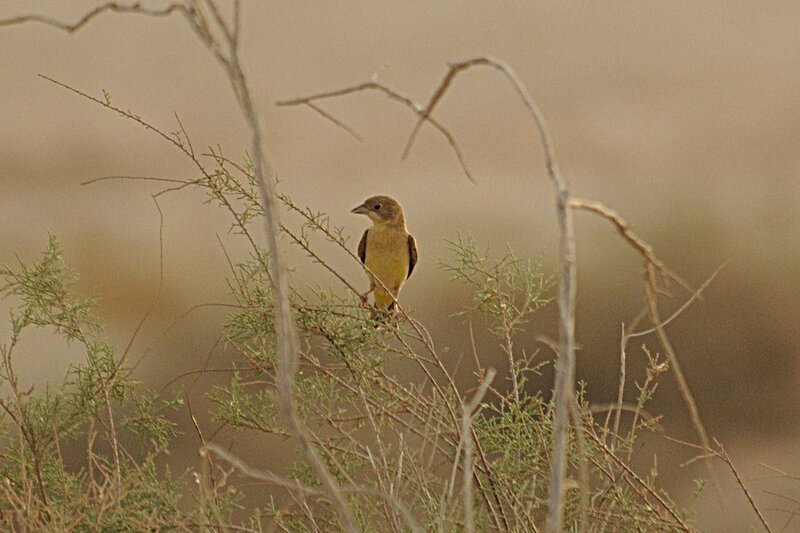 Red-headed Bunting has not been recorded in the Eastern Province of Saudi Arabia.